Stories by Ray Nessly, Rob Cook, Nancy Hightower, Ginna Luck, Clodagh O’Brien, Maroula Blades, Carol Malkin, Fikret Pajalic, Paul Beckman, Eliot Deringer, Gregory Roll, Christine Tierney, Esther Veitch, Mike Corrao, Melissa Ostrom, and Rosemarie Dombrowski. 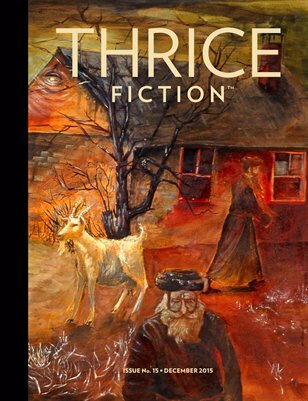 Note: Thrice Fiction may contain some adult language and situations. Parental guidance is suggested for readers under 17 years of age.